Targeting the Telugu Desam Party (TDP) and Bharatiya Janata Party (BJP for negation of ‘Special Category Status’ to Andhra Pradesh, Pawan Kalyan has avowed that the political parties were adopting to opportunistic politics that's hurting the sentiments of Andhra people. By addressing in a press conference at Hyderabad, Pawan Kalyan negate the statements that he was unable to understand the fact that the why Special Status was not possible as he was novice to politics. 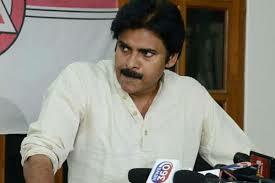 Pawan said I don't have any political knowledge, why did you seek my help and support in 2014 elections…? Why I was asked to campaign on behalf you in Andhra Pradesh, Karnataka and other states..? he asked. Pawan also stated that he supported Narendra Modi and Chandrababu Naidu expecting that they would meet the hopes of the people. But both the parties have not meeting the expectations of the people. Mr. Venkaiah Naidu (Union Urban Development Minister) is more worried about Swarna Bharat Trust rather than the Special Status and promises made to Andhra Pradesh. We don’t have any objections for the felicitations done to him. But he should Fulfill promises to the state also. Mr. Sujana Chowdary denigrate Jallikattu with his inedible remarks and suggested people not to take inspiration from Jallikattu. If that is the case what was the inspiration for his ailure to repay the bank loans he borrowed for his companies? he asked. The Chief Minister should have given permission to silent protest at RK Beach in Visakhapatnam. He just postponed the people's agitation by denying permission. It cannot be stopped permanently, he asserted. Mr. Chandrababu Naidu says he would develop the capital Amaravati the lines of Singapore. Why could he not take inspiration from Lee Kuan Yew who transformed Singapore into least corrupt countries in the world. Late Mr. Lee Kuan Yew kept his friends at bay for a corrupt-free country. 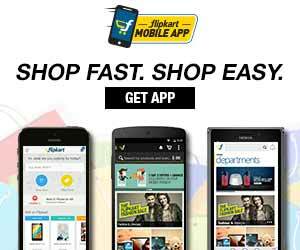 Mr. Chandrababu Naidu, however, is flanked by persons like Sujana Chowdary and Rayapati Sambasiva Rao, he pointed out.